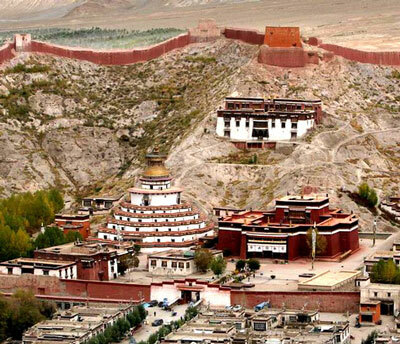 Palcho Monastery, also named Pelkor Chode Monastery or Shekar Gyantse is the main monastery in Gyantse County, Tibet, China. The name means lucky and happy temple in Tibetan language. 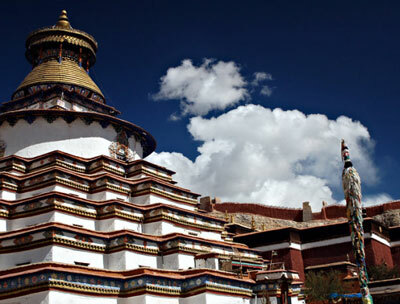 Palcho Monastery was founded in 1427 and completed in 1437. 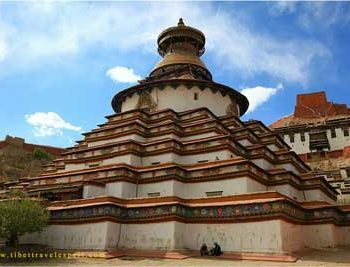 And the building combines Stupas, Zhacangs and Temples, also it owns the characteristics of Nepali, Han and Tibetan architecture.By housing three sects of Kadampa, Gelugpa and Sakyapa, it enjoys a high status in Tibet Buddhism history as these three sects get along well with each other though they once fought before. 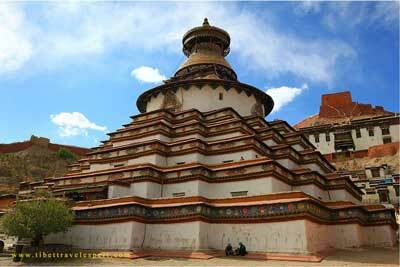 The Bodhi Dagoba is about 32 meters high and has a nine-tier building which owns 108 gates, 76 chapels and shrines. And it symbolizes the Pelkhor Choede which has two other names, ‘kumbum’ and ‘Ten Thousand Buddha Pagoda’. In the pagoda, ten thousand figures of Buddha are celebrated in the chapels, shrines, therefore, it is also called the Ten Thousand Buddha Pagoda. 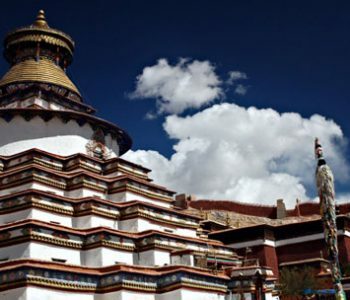 The Main Assembly Hall, also named ‘Tshomchen’ in Tibetan, has a history of about 500 years. It is a three-stories building with the Main Chapel, Eastern and Western Chapels on the first floor. Another highlight of Palcho Monastery is its Murals which witness the Tibetan religious history. There are various murals here, such as story-telling of Buddhism and esoteric Buddhism culture, etc. 1. If you want to bring your camera inside, you have to pay additional fee. 2. You have to walk clockwise from left to right after entering the temple. 3. Opening hour is from 9am to 5pm. 4. The Admission Fee is RMB 60.